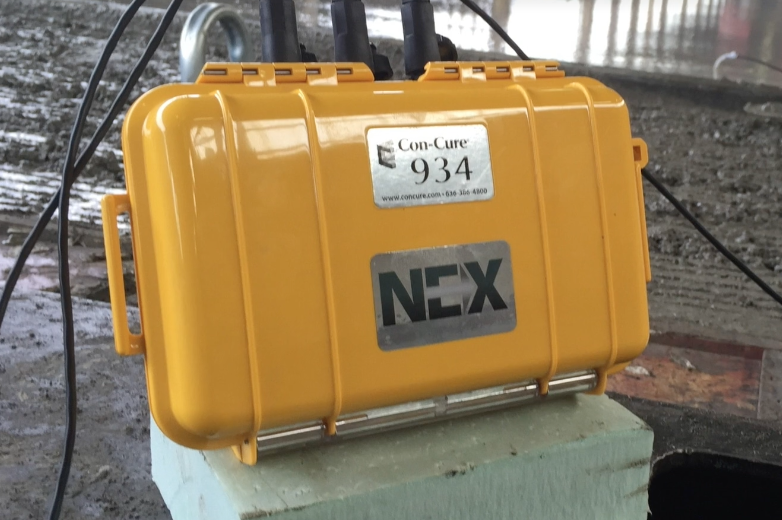 If you can pull up a browser window, you can instantly view the live, real-time status of your concrete, no matter where you may be with Con-Cure®’s NEX wireless system. 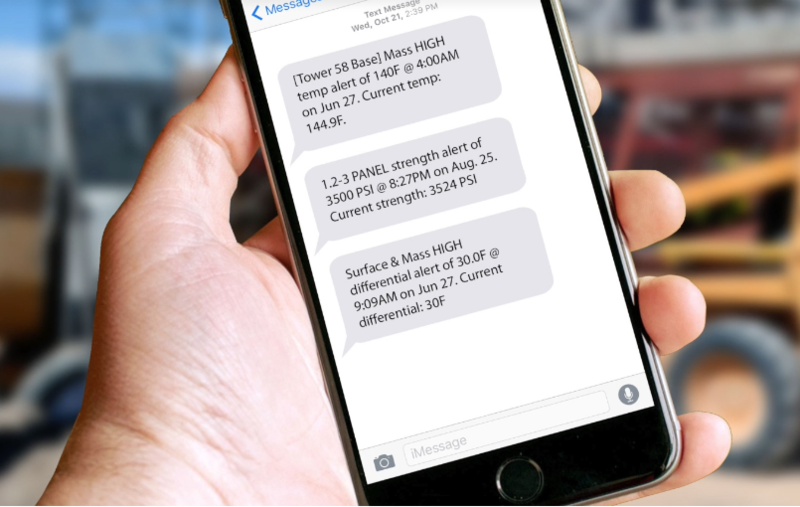 No physical trips or downloads needed to the monitoring locations to collect the data – the system will even send you a text or email when the concrete has attained critical thresholds such as high or low temperatures, excessive temperature differentials, or in-place strength. Con-Cure NEX was designed from the ground up to give you and your entire construction team live access to the concrete curing data 24 hours a day from any internet browser. Fully retrievable sensors help keep ongoing costs some of the lowest in the industry. NEX can be customized into convenient packages, depending on your specific needs and applications, and allows seamless expansion. Nodes transmit data via the cellular network wirelessly to “the cloud” where data is instantly visible to any user. Nodes simultaneously record data onto an SD card as a backup. The recorded temperature histories of the concrete are then applied to one or more industry-standard formulas, and the concrete strength is accurately estimated (per ASTM C1074). Click here for more details about the maturity method itself. Unlike previous systems, NEX nodes have virtually unlimited range. If cell service is intermittent, the nodes send the data when they can. The SD card always records all of the data. If necessary, the data from the SD card can be uploaded to the cloud separately. Any jobsite where merely collecting the temperature or maturity data puts a worker at risk, such as tall walls, scaffoldings, or underneath bridge decks. Jobsites that are so large that it requires a significant amount of time merely to travel to the monitoring location, such as on some bridge jobs where the work being done is on the opposite shore to the jobsite office. Tall buildings of any kind, because it can take a long time just to get up to the monitoring location. Precast plant environments where casting beds are distributed across a large area. Projects requiring live, real-time feedback about the status of the concrete, such as pavement patching jobs on busy Interstate highways.